Designer Henryk Tomaszewski died on Sunday in his native Warsaw at the age of 91. In his lifetime, Henryk Tomaszewski accomplished the nearly impossible: he made a body of work that was equally beloved by both designers and illustrators. For designers, it was the power of the simplicity of the forms he created, his economy of line, his perfect use of scale and his brilliant wit. For illustrators, it was that the power of the simplicity of the forms he created, his economy of line, his perfect use of scale and his brilliant wit could only be the product of someone who really knew how to draw. His posters looked so simple, so easy, and sometimes so incredibly dumb they were laughable. Looking at the work, I'd think, "Why, anyone can do it, can't they? Just pick up a big, fat, scratchy brush and glob it up with some india ink, make a funny face out of three black lines and a red blob for a hat. Hand paint the type. How hard can it be?" The answer: hard. Tomaszewski was the Fred Astaire of poster art. Everyone loved him because he made it look so easy and like so much fun. We all thought that we could do it, too. So we tried it once, twice, and then we keep trying for a working lifetime. And every time we try, we are confronted with his unquestionable genius. I will miss Henryk Tomaszewski. 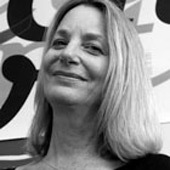 Paula Scher is a partner in the New York office of Pentagram and the author of Make It Bigger. Very sad news indeed, Ms. Scher. Over here in France, Henryk Tomaszewski had a huge influence on the local graphic scene, particularly through his teaching in Warsaw Fine Arts Academy, where some of the leading figures in French graphic design studied in the 60s and 70s. It wouldn't have been the same without him. The flame isn't all the way out... his son (Filip Pagowski) is a regular in the pages of the New Yorker and extremely talented. His Ilustrstration and Design possessed the IMPACT of A Minimalist Auteur. A Goldsmith in the Deft and Sureness of his line. Deceptively Simple but not Simplistic. Henryk Tomaszewski and Robert Wise lived 91 years. I'll miss them both and will continue to live and grow through their Art. A great article about Tomaszewski by Andrea Marks has been posted on AIGA Voice.